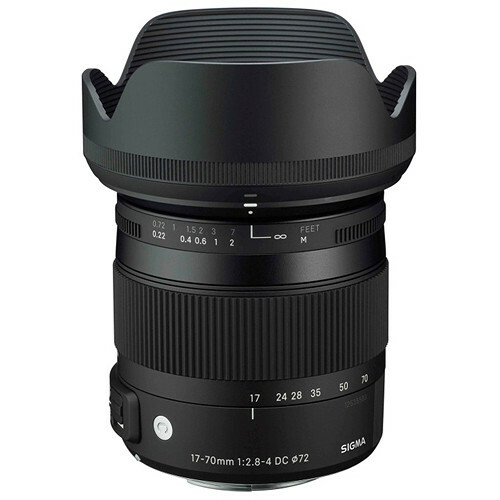 The Sigma EF 17-70mm f/2.8-4 DC Macro OS HSM Lens for Canon is a standard zoom lens designed especially for DSLRs with APS-C-sized image sensors. This lens has a 35mm-equivalent focal length range of 27.2-112mm, providing wide-angle to portrait-length angles of view for use in everyday shooting situations. As part of Sigma’s new Contemporary line of lenses, this lens is designed using Thermally Stable Composite (TSC) materials to help reduce the overall weight and size of the lens barrel by about 30% without compromising on optical integrity, rigidity, or overall durability. This lens is the first lens produced as part of Sigma’s Contemporary line; deeming it lightweight and compact while still exhibiting high optical performance. This lens’ wide range of focal lengths makes is suitable for a variety of shooting applications. Utilizing a smaller OS unit and an optimized distribution of optical and electronic elements, the size of the lens barrel is able to be reduced in size by approximately 30%. This reduction in weight is also afforded in part through the use of TSC materials in the barrel construction. This material offers high durability and rigidity but with less bulk than metal components. This lens features a maximum magnification of 1:2.8 and a minimum focus distance of 8.7″ / 22cm, giving a working distance of just 2.2″ / 5.5cm when shooting at the 70mm focal length. Two FLD (F Low Dispersion) glass elements, one SLD (Super Low Dispersion) glass element, and three aspherical glass elements, including a double-sided aspherical lens, are integrated into the lens’ construction to help improve overall image quality. The combination of these elements provides a reduction in both chromatic and axial chromatic aberrations throughout the focusing and zoom ranges. A Super Multi-Layer Coating is also applied to lens surfaces to reduce the appearance of lens flare and ghosting, which helps to maintain image contrast and color fidelity when working in strong lighting conditions. 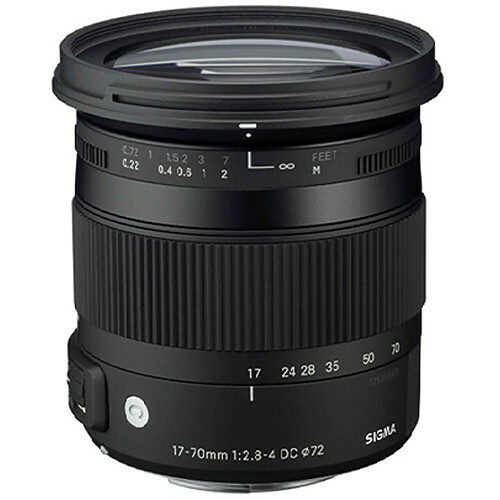 Rent the Sigma EF 17-70mm f/2.8-4 DC Macro OS HSM Lens from Deck Hand Camera Rentals today!